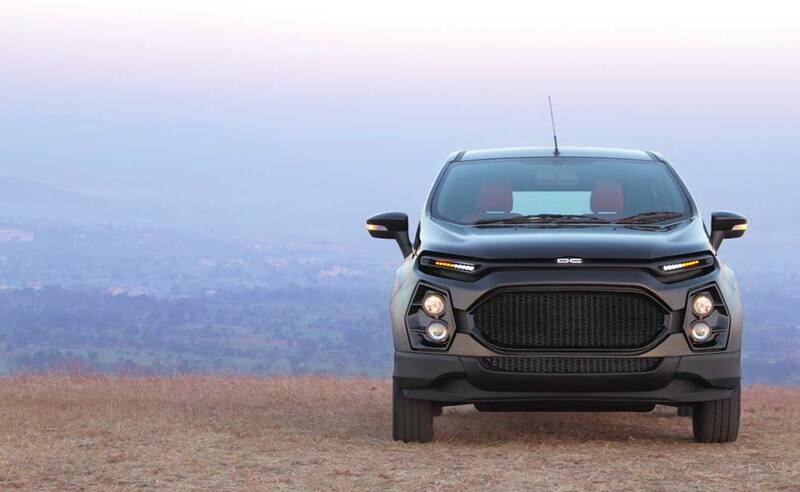 India`s most famous car customizer has laid hands on the Ford Ecosport and have been very liberal about the overall design. 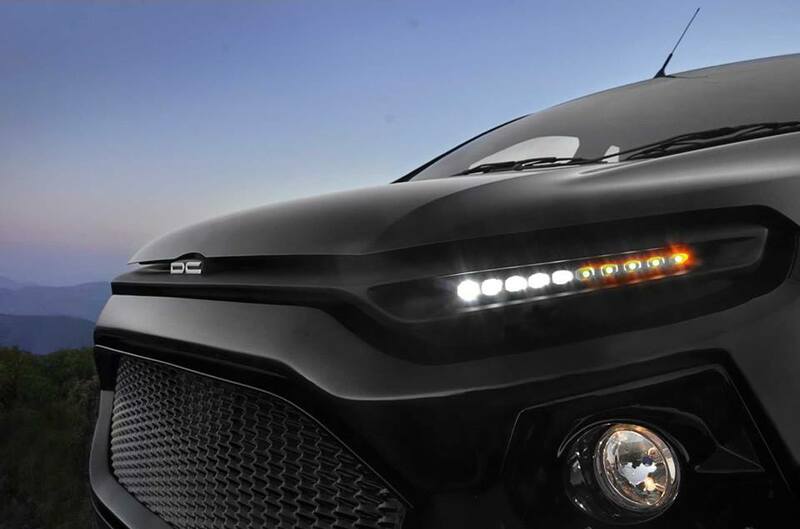 After the Renault Duster, this is the second car in the compact crossover segment to be modified by DC designs. DC Designs has completely modified the exteriors as well as the interiors of the car, making an already good looking car even more stunning. The massive air intake at the front is an eye grabber and makes the car look aggressive. One can argue about the huge size which seems unnecessary but we are not complaining. The DRLs and side indicators are similar to the ones used in the duster and replace the headlamps in the standard car. The headlamps themselves are placed lower in the new bumper, along with the fog lights. The rear is also completely different from the standard car and complements the front growling look. 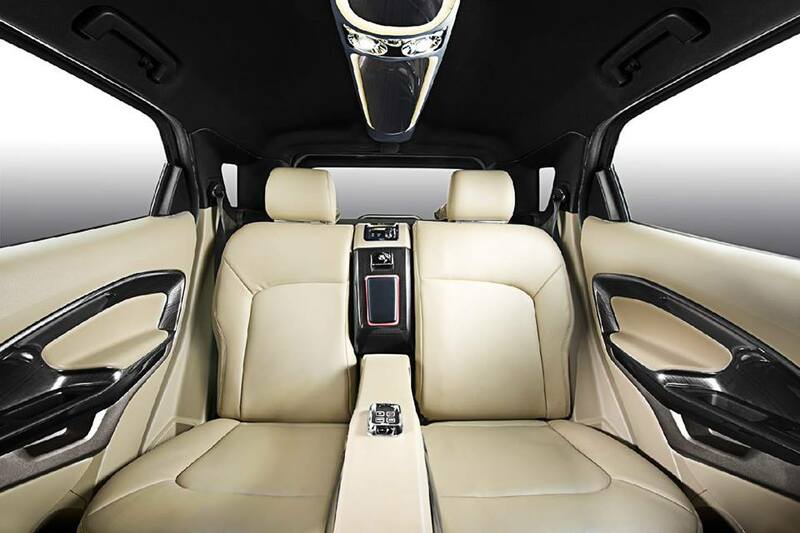 The major change from the standard car comes inside: 2 individual seats replace the rear seat, thereby making this a 4 passenger vehicle. These seats are electrically adjustable and can be reclined to a certain angle. An additional AIR-CON blower unit is installed above the front arm rest for the rear passengers. 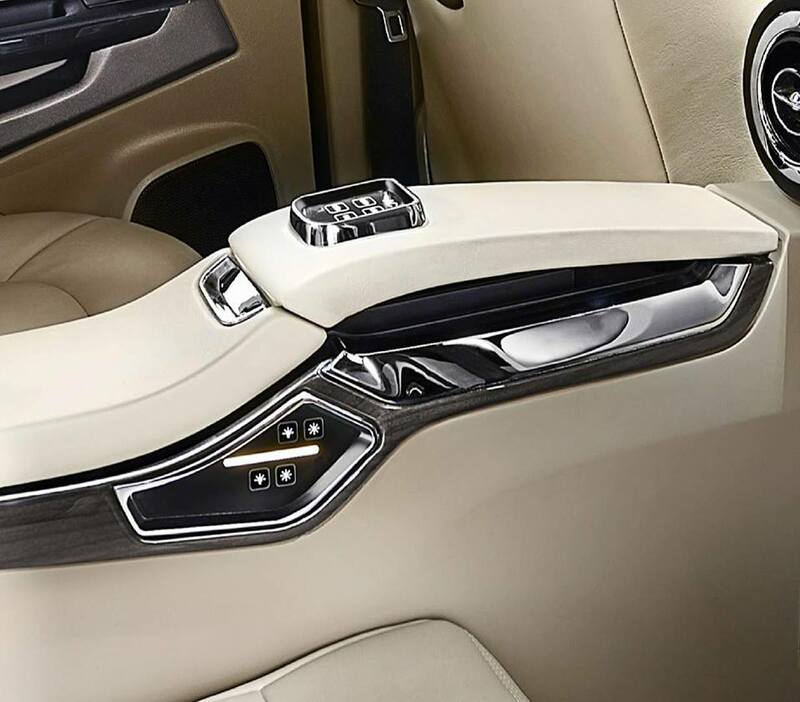 The arm rest in the rear seat has control buttons for Mood lighting, reading lamps and other extra functions. 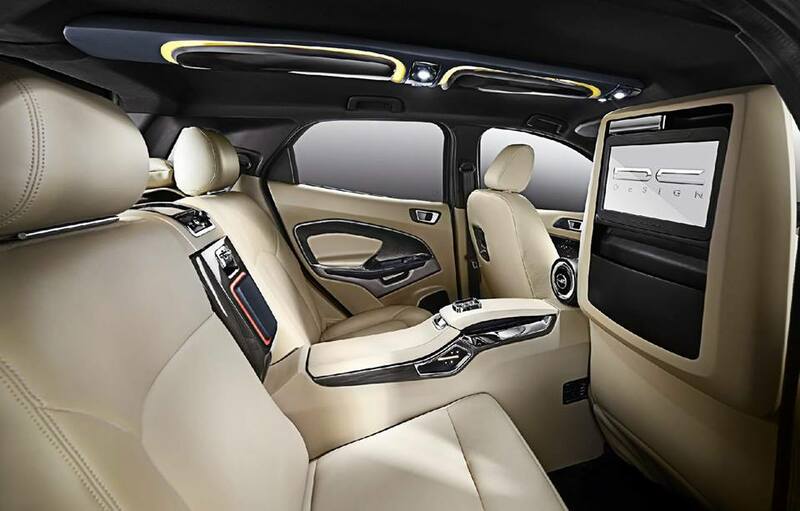 DC design has shown no restraint in the use of beige leather for the interiors and has clad the rear center console, door panels as well along with the seats and head rests. 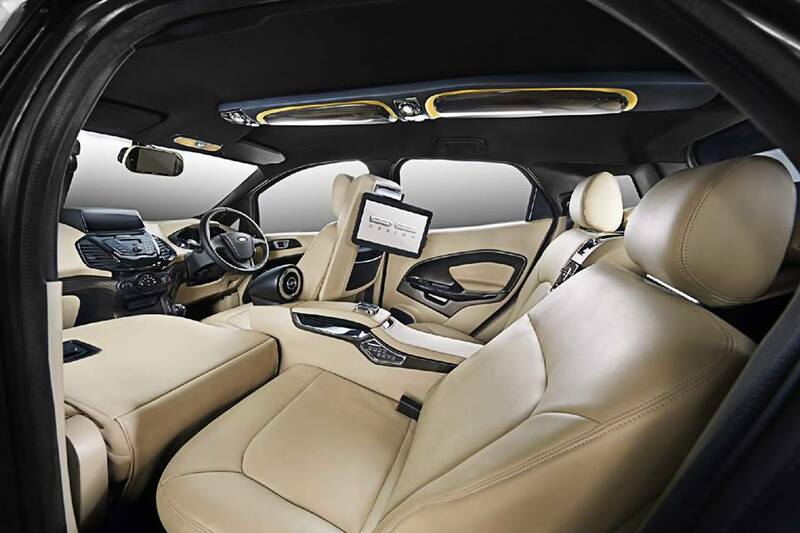 The driver seat has a huge movable screen which can be inclined for both the rear passengers to watch. The Co-driver seat folds completely flat offering the person sitting behind an airplane like recliner. The roof has a light cluster and will feature mood lighting as well. The dashboard panels have been covered with beige leather. 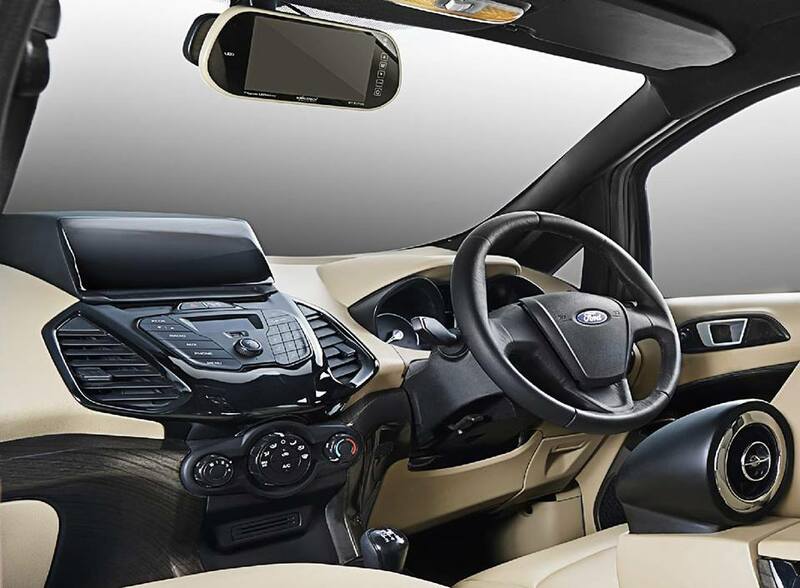 The standard ford SYNC system has been replaced by a big screen but the buttons are carried forward from the standard car. 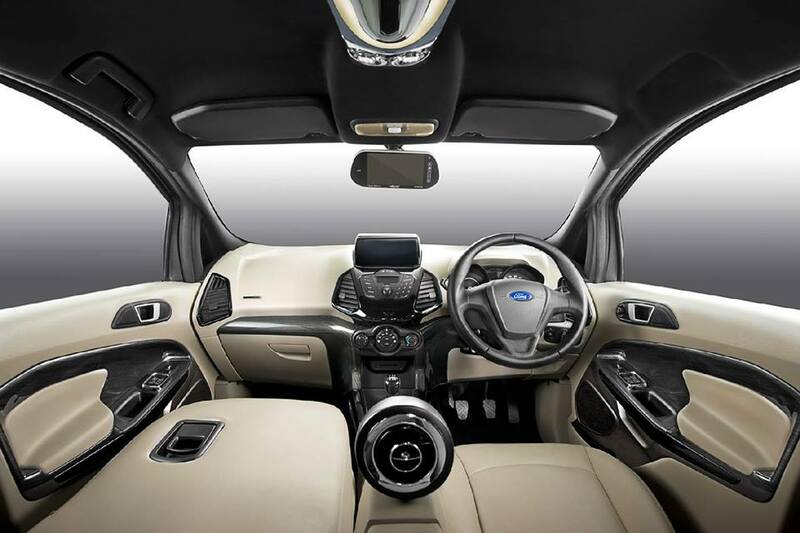 The car will have various features like reverse camera and parking sensors which can be seen on the inside rear view mirror. The transformation will take about four months from the time the customer orders the car. Prices and other details can be expected by the end of this year or early next year.